**Overlooking the mountains surrounding Leavenworth** It's large, it's lovely, and it's just the place you've been looking for! Overlooking the outstanding mountain vista surrounding Leavenworth on one side, and the historic Ski Hill jump on the other, Ski View Villa is a beautiful location in every season! Nicely designed and attractively furnished, it has four bedrooms to accommodate your family in spacious style and comfort. The beauty of the Cascade Mountain setting flows into the interior design, as highlights of nature bring about lovely accents of rustic elegance– lots of pine, wood, granite, tile, wrought iron. Ski View Villa was built during the summer of 2006, with comfort in mind. The large, fully equipped kitchen features lots of granite counters and large, easy to use appliances that make cooking easy. For summer enjoyment, the dining room opens to a large back patio that's perfect for summer BBQ's. The living room features a lovely gas fireplace, creating a perfect gathering place for snowy winter days, and a large screen TV. Bedrooms are attractive, comfortable, and decorated with the style that makes you feel immediately at home. Only a few minutes' drive from downtown, yet nestled in a quiet and attractive residential area, this is a perfect place to relax and unwind with your family. Hiking trails, cross country skiing, shopping, or restaurants are all close. 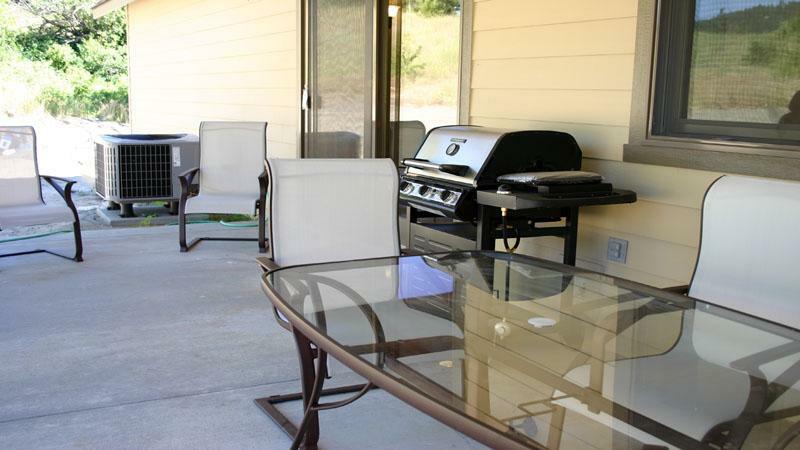 Guests can enjoy a backyard dinner, or a relaxing afternoon in the hot tub on a cold winter day. AT Ski View Villa, you can enjoy a great getaway at a really great location! You are now being connected directly Destination Leavenworth who is responsible for this property.